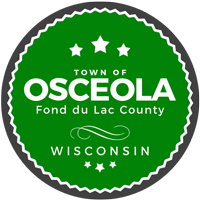 The Town of Osceola’s hours of operation for dumping garbage, metal, TVs & electronics, and various recyclables are Saturdays from 10:00 am to 1:00 pm, and Mondays from 1:00 to 4:00 pm AT the Town Hall located at W1476 County Road F. Dumping anything–especially metals–during non-dump hours is prohibited and subject to a $200.00 fine. Video cameras have been installed for security purposes. Since November 1, 2018, it is now a $10.00 fee per TV drop off. Please print name legibly on envelope when dropping off.